Shri Shankaracharya Arts Pvt. 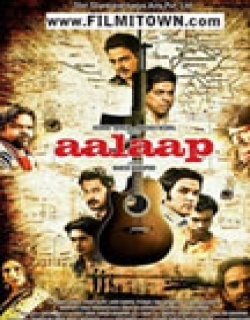 Ltd.
Aalaap is a 2012 Indian Bollywood social, drama, musical film released on Jul 27, 2012. The film is directed by Manish Manikpuri, produced by Nishant Tripathi under banner named Shri Shankaracharya Arts Pvt. Ltd.. The film has a very different concept and story. The story is about widowed Advocate Triloki Prasad. This person lives a wealthy lifestyle in a small town in India with two sons, Advocate Ashok is married to Geeta, and Alok is yet to settle down in their law firm. The advocate lives a very standard community. 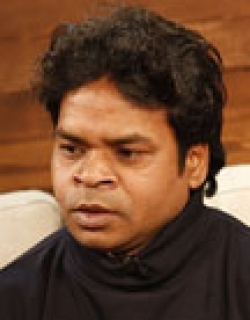 Alok is fond of music and does enroll in classes run by Pandit Jamuna Prasad. Trilok wants Alok to join the stream of law and starts practicing for the same field. One day Triloki finds out that Alok is not to the firm but is instead spending time in the local slums with a former courtesan named Sarju Bai Banaraswali. He warns not to do this and to mind his own business. Alok continues to visit Sarju Bai. Then one day, Mr. Gupta approaches Triloki about demolishing the slum area. Triloki agrees for this and with his expertise, he manages to sway the Court's decision in Gupta's favor. As a result, Sarju Bai and others are rendered homeless. With the fee he receives from Gupta, after this, one day Gupta asks Alok to purchase second hand car for himself. But Alok purchases another vehicle a horse-carriage for himself and decides to drive it himself to make a living. Then the story enters into the scenario where, father and his son face a tough fight for their own principles. His father asks him to leave the house. Trilok then, starts creating troubles in the lives of Alok. When Triloki finds out that Alok is doing well, he decides to hire motor coaches to transport people at a much cheaper price. Trilok does this to bring back Alok in his house and to teach him the lesson, so that he can apologise for the same. Then the story further continues with many twists and turns. Amok then takes the story to the next level. Check out this page for more updates on Aalaap. On the upside, Aalaap makes an effort to depict people caught in troubled times. Sometimes – in a shot showing Yadav weeping without words, the blue walls of his humble home..
Few films are good at tackling sensitive socio-political issues. The intention may be good but the film ends up trivialising the issue or over-simplifying it. Or, as in the case o..
Aalaap could have been better if it provided some critical evaluation of the situation by first time director Manish Manikpuri, instead of passing judgment on Naxal politics. Over the last few years, as Chhattisgarh was slowly slipping into the iron grip of the Maoists, the state establishment and the security apparatus began obsessing over, among all ..
With the state-sponsored Operation Green Hunt taking lives on both sides of the divide, this insensitive film seems like a terrible nightmare one hoped one had not seen. It̵.. This page provides latest and updated information about Aalaap (2012) movie which released on Jul 27, 2012. 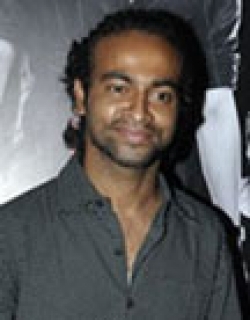 Aalaap (2012) is directed by , produced by , starring .We have also provided 3 trailers and videos, 3 photos, 73 user reviews, and 2 critic reviews.Aalaap (2012) has received 1.8 rating from user reviews.The movie has received 1.3 rating from critic reviews. The overall rating of Aalaap (2012) is 28 and movie is 1.4.You can review, like, dislike this movie and also can add to favorites. You can also find information on showtimes, CDs, DVDs, online rental, online free watching.